Cosy Victorian terraced cottage in quiet area only five minutes walk from Keswick town centre. Lovely conservatory, kitchen, diner, inglenook fireplace in lounge and small cottage garden to rear. Two bedrooms en suite. Also ground floor bedroom and shower room. Catherine Cottage is a comfortable late Victorian house built in 1879. It is situated in a quiet residential area of Keswick, yet only 5 minutes walk from the centre of town. There is seating in the front garden which affords a lovely view of Latrigg and Blencathra. All rooms are furnished to a high standard, the accommodation consists of one twin and one double bedroom upstairs which have access to a Jack & Jill en-suite bathroom. 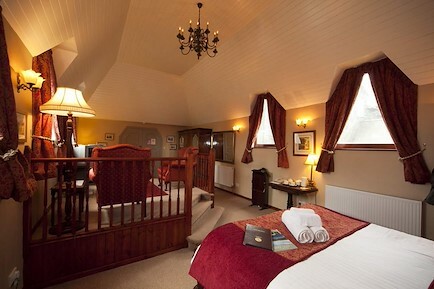 There is single bedroom downstairs which has access to a shower room, there is also a cot in this room. All bedding, towels and tea towels are included in the cost of the booking. The cosy lounge has an Inglenook fire place with an electric effect log burner. To enhance the enjoyment of the holiday maker there is an HD television with free sat and a DVD/CD player. The pleasant kitchen has is fully equipped with an electric double oven and microwave oven, with a conservatory/diner. there is a utility room which houses a large fridge freezer. this area also has access to the shower room. The rear garden has a lovely area for alfresco dining with outside lighting for those balmy summer evenings. Catherine Cottage has no smoking policy and a maxim of 2 dogs are allowed by prior arrangement. Your enquiry will be sent directly to Anne's Catherine Cottage. Please fill in as much detail as you can.